Nya Jerami fled Thesolo for the glitz and glamour of NYC but discovered that her Prince Charming only exists in her virtual dating games. 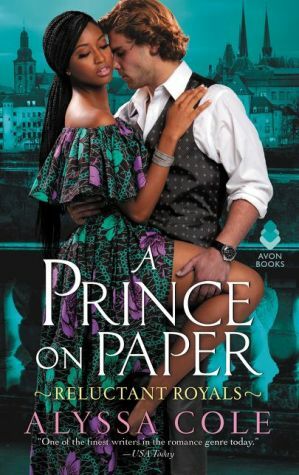 When Nya returns home for a royal wedding, she accidentally finds herself up close and personal -- in bed -- with the real-life celebrity prince who she loves to hate. For Johan von Braustein, the red-headed step-prince of Liechtienbourg, acting as paparazzi bait is a ruse that protects his brother -- the heir to the throne -- and his own heart. When a royal referendum threatens his brother's future, a fake engagement is the perfect way to keep the cameras on him.